NOOOOOOooooooo I JUST LOST EVERYTHING!!!!! They observe stuff. 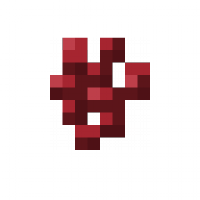 So if you have a melon plant, and you put an observer attached to a piston with redstone, when the block grows, the observer will see the change in blocks and will send a redstone current down the wire to the piston, which will activate the piston. I use android,and my brother on a ipod. If y'all ever need help just @ me. Hey @Fulson_Ottercrash, what is a Nether Wart. Is it on pigbies? lol! I know. But, what does it look like? U find it in nether fortresses. Cool! I have found a fortress!!! Beware because there is a blaze spawner in the fortress somewhere. I have found two!!! I do not like the skeletons! I love the Zompigs! On the flying ghost things! *But I don't like the ghost things!